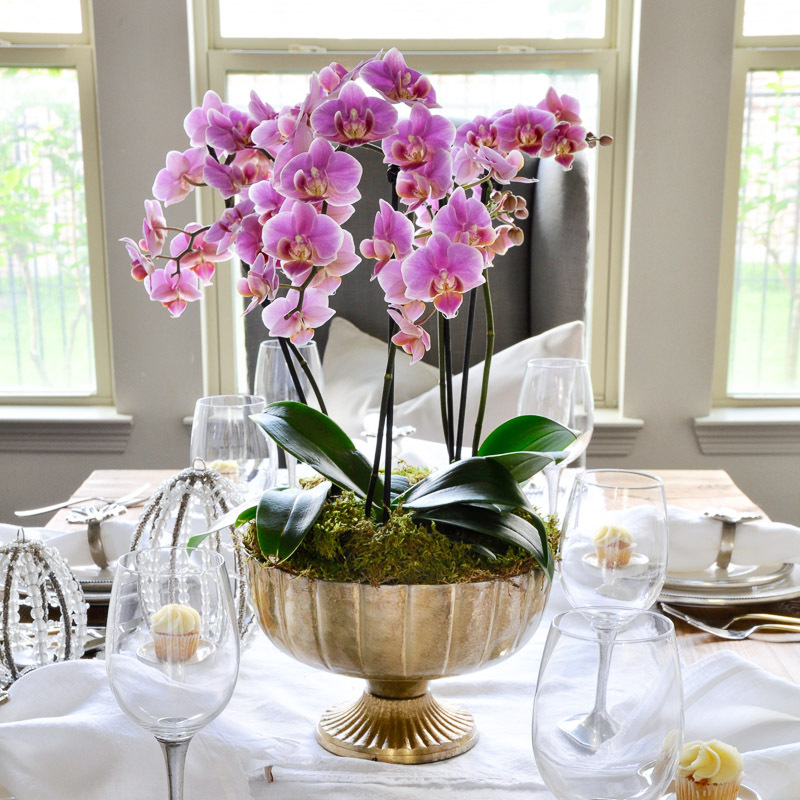 Who doesn’t love an orchid arrangement? 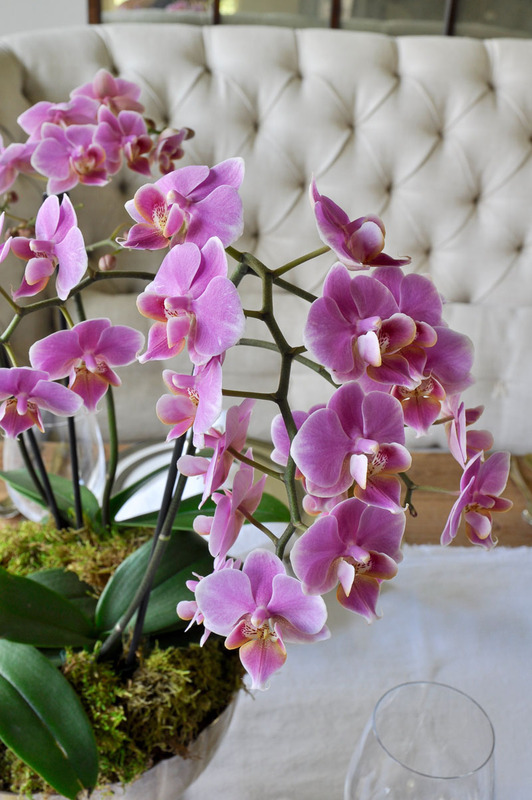 I have recently found myself using orchids in my home more frequently. They are simple yet stunningly elegant and they tend to last longer than freshly cut flowers. 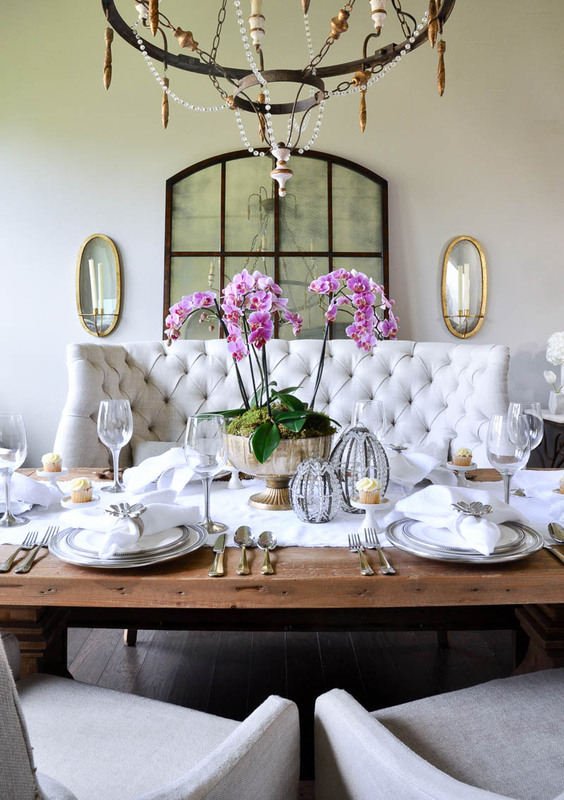 So naturally, when I began to design my Easter table, orchids came to mind. While I wanted to do something different than last year (see my 2016 Easter table here), I also wanted to have an arrangement that I could enjoy for weeks to come. *This post contains affiliate links. Disclosure. First of all, I started at my local garden center. I came home with three orchid plants in this gorgeous fuschia color. 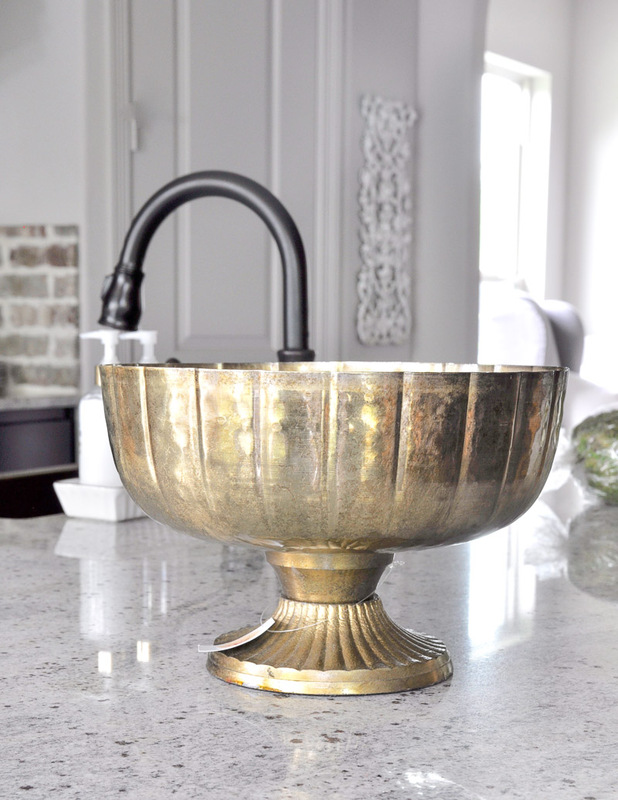 For my vessel, I chose this footed brass bowl. I found it at my local neighborhood grocery store. 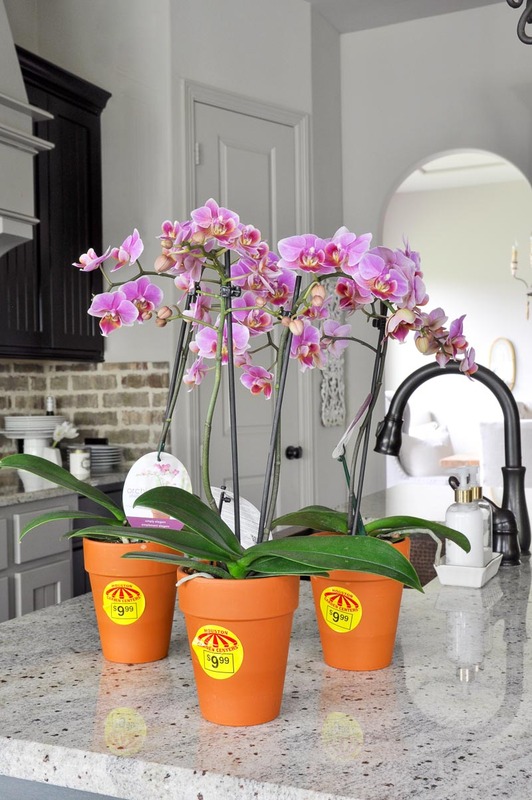 When shopping for a container, be sure to select one that is slightly deeper than your orchid containers. 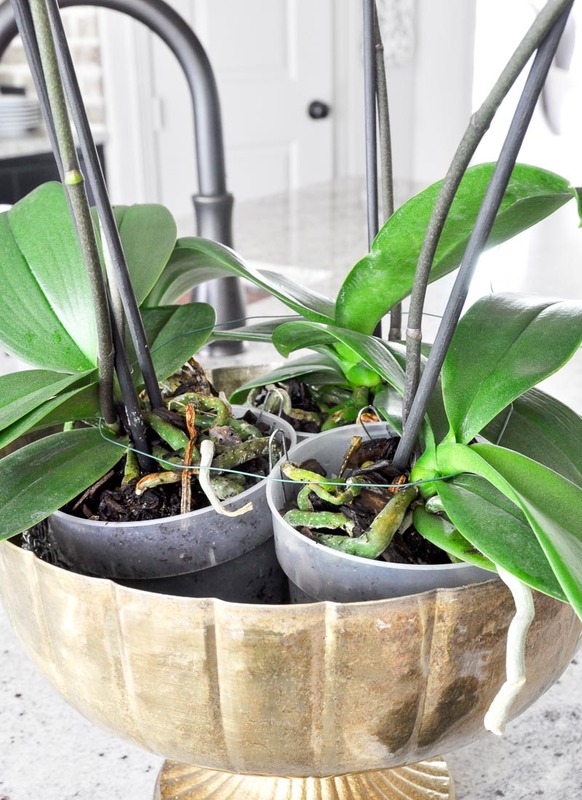 Most orchids come in plastic containers inside of a decorative pot. I removed mine from the outer pot. Next I placed them into the bowl. 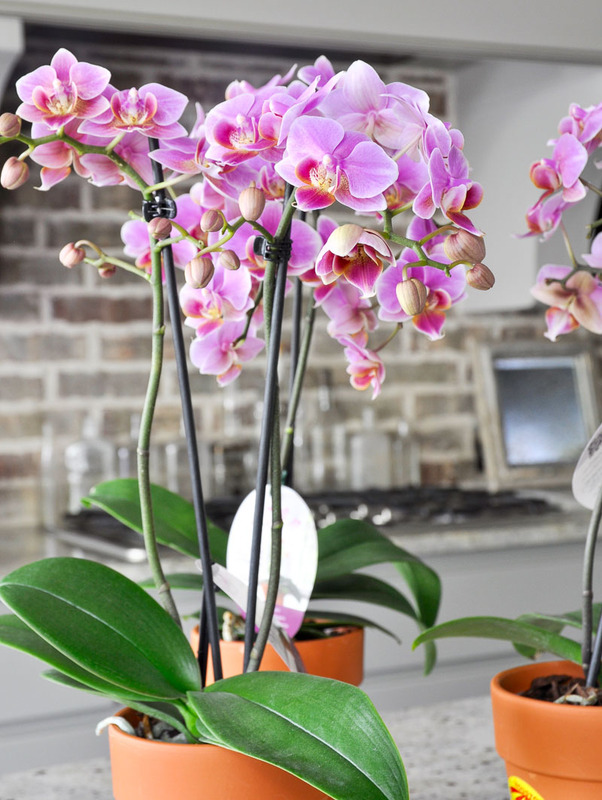 I used paperclips and florist wire to keep the orchids in the proper position. 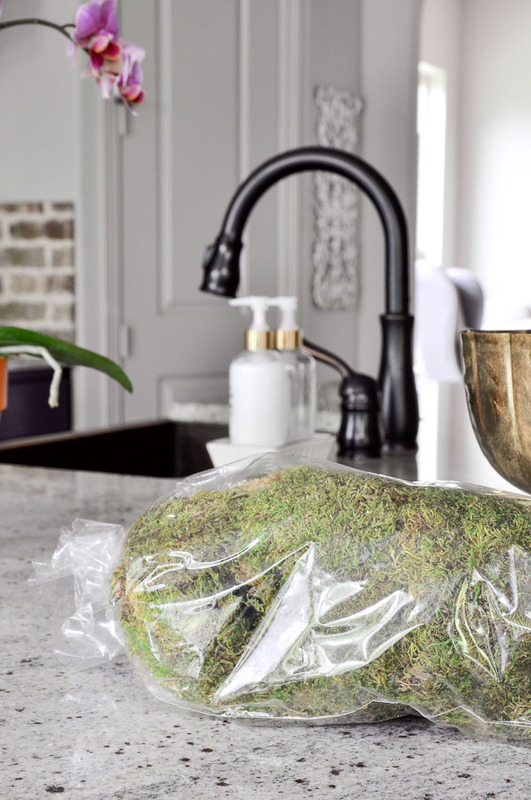 If you need to elevate your plants, use styrofoam or bubble wrap. Finally, I added moss to cover the pots. And this is the finished arrangement! 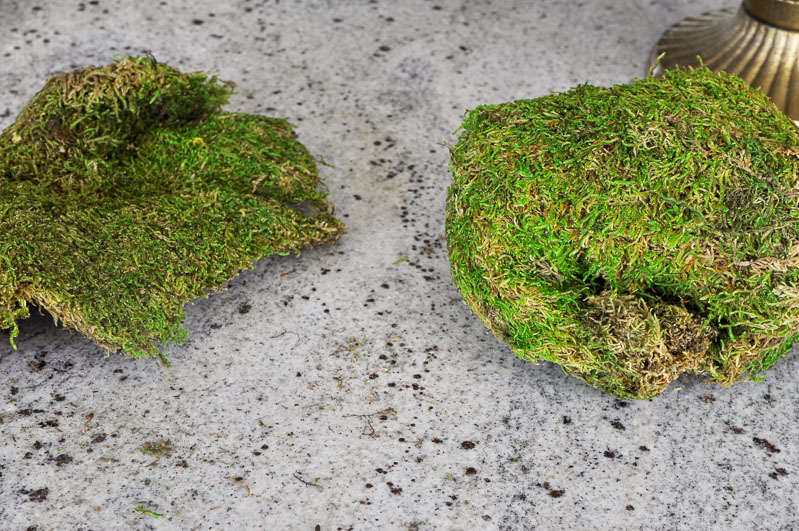 You can see the how the moss covers the pots and wire, while providing the finishing touch. 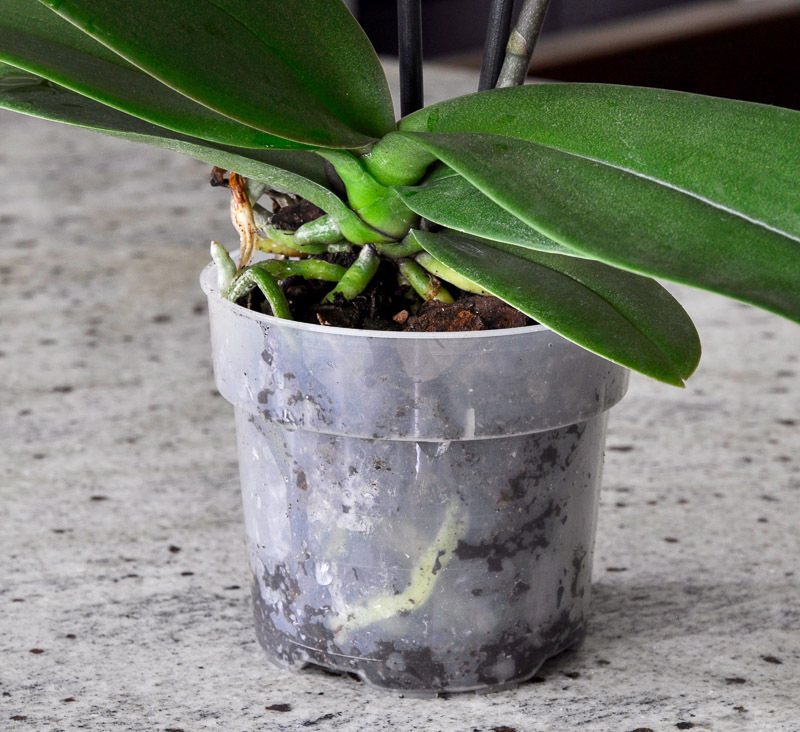 One last note, I always move the moss to water my orchids. 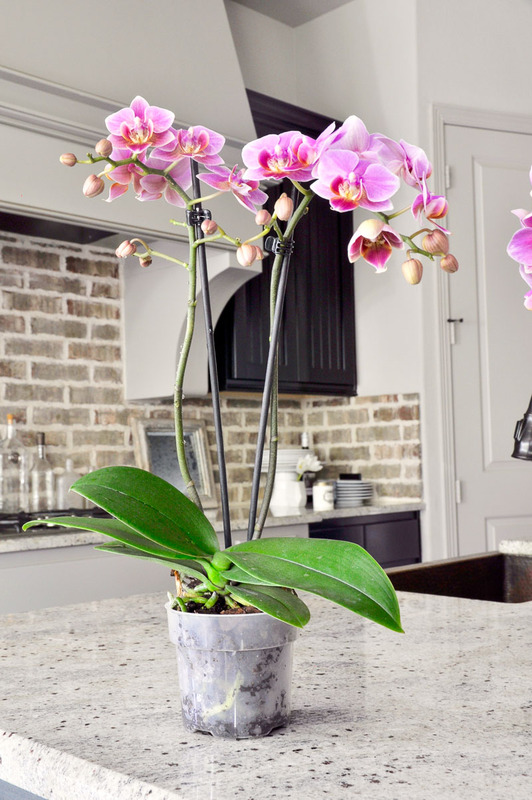 In case there are a few of you out there who want nothing to do with live plants, you can make the same arrangement with faux orchids. Just be sure to select high quality ones. Click Images to Shop. Scroll to See Additional Options. My arrangement was used for my Easter table, but it would be fitting for almost any occasion. I made a white one in my Winter Home Tour, which I love. Here, you can find a few other very simple to make spring floral arrangements. 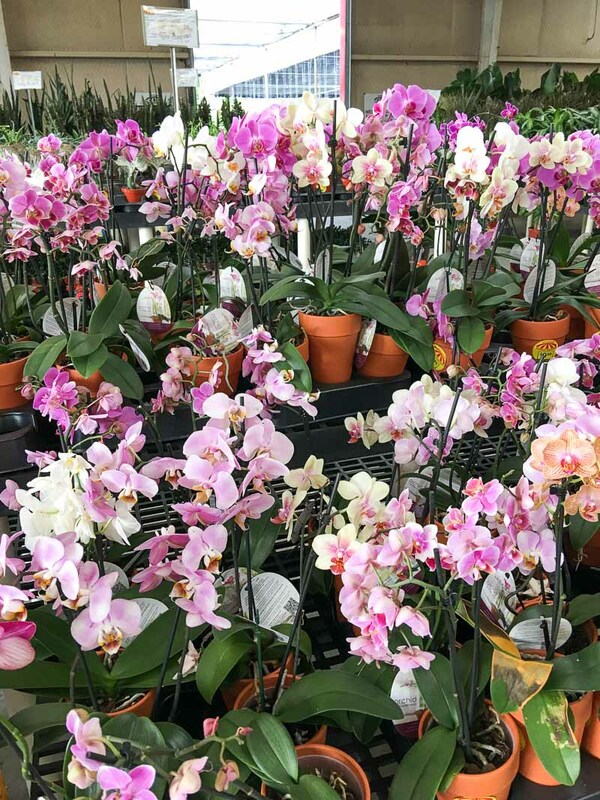 I hope you choose to make a beautiful arrangement of your own! Me encantó, ahora ya puedo hacerlo!! !